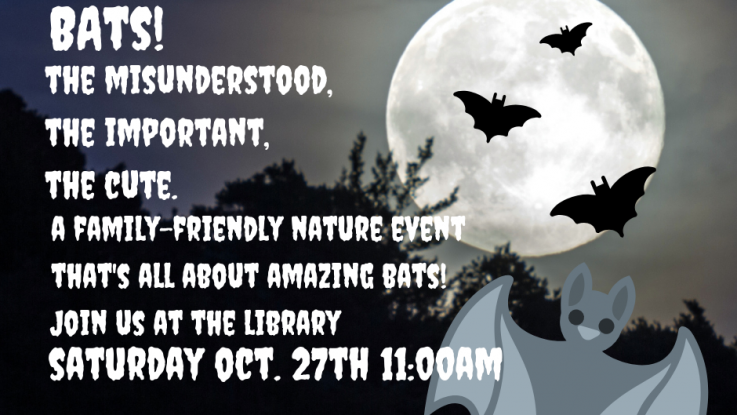 Just in time for Halloween…Join us at the Indian Lake Library for a family-friendly nature event all about that unsung pollinating hero, the humble bat! Caitlin Stewart, educator with the Hamilton County Soil & Water Conservation District, returns for a fun-filled and informative presentation everyone in the family will enjoy. 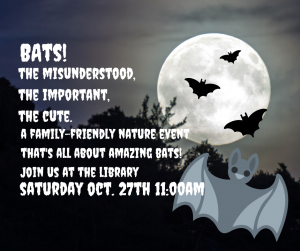 After the event, stick around for a bat story and a bat craft project. Hope to see you there!